It is Saturday, November 10, and a very sleep-deprived team from California has just arrived in Haiti after 24 hours of travel. Despite their fatigue, I take them out to the mission—they’re as excited as I am to be back on the ground. 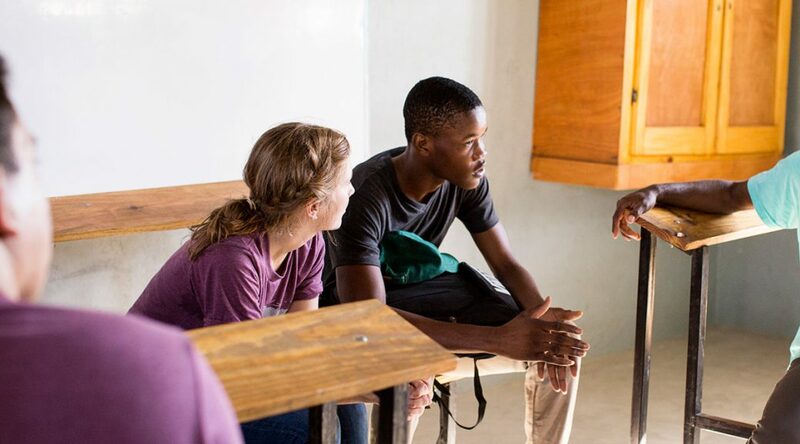 Though most of these team members have been coming to Haiti for years, I still lead them up past the church to the classrooms on the hill to share the story of the school. I love that Grace Emmanuel School was started by Victory Bible Church’s ministry team, who saw and responded to the needs of a ragtag group of kids who had never gone to school. I love that these Californians before me, from a once smallchurch, have been part of the story of this school’s survival and growth. Fourteen years after Grace Emmanuel School was born, we stand in the shade of its campus, these beautiful and well-constructed classrooms that will be filled with 370 students on Monday. It is nothing short of a miracle, and when I introduce people to this place for the first time, it is all I can do not to weep at the goodness of it all. Today it is quiet and I have asked each of the four scholarship recipients to come to the mission and share their stories with the team. I want them to be encouraged by these strangers from the states who help send them to college, and likewise I want the team to be encouraged by the perseverance of these young men. It is hot, the mosquitoes are biting, the team is tired, and I think I have intimidated the four scholars, who are not used to being interviewed in this way. Their stories go half-shared, but the team can still sense the determination of these young men. They want to succeed in college to “make money,” many of them say. This response might indicate greed in an affluent society, but here money simply means food, school, health care, and rent—a desire to lift their families out of poverty. Grace Emmanuel School has had 33 students graduate in the last two years. What comes after the graduation ceremony is unchartered territory, and when staff checks in on the graduates this October, many report they are still waiting for an opportunity—a job, a chance to further their education. A couple of young men have entered a trade school newly built by Mission of Hope. Another is able to attend school thanks to her sponsor who continues to support her directly. The others await opportunities that Haiti just doesn’t have to offer. Yet for the four young men before me, the story is different. They have been given an opportunity, and judging by the adversity they have already overcome to get through high school, they will make much of it. When I start to feel discouraged that we are only able to send these four to college, I remember the story I have just recounted, of this school that started 14 years ago with only 15 kids. I look at that school around me now, where nearly 400 kids are being educated, and I know I can rest in the goodness of our big God. He is the One who will make much of these small beginnings. 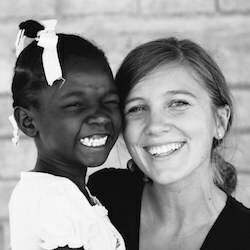 Kristi Bucher serves as Communications & Development Manager for Jesus in Haiti Ministries. She currently lives in Minnesota with her husband, Nathan, and gladly visits Haiti four times each year for work, always wishing the visits were longer. 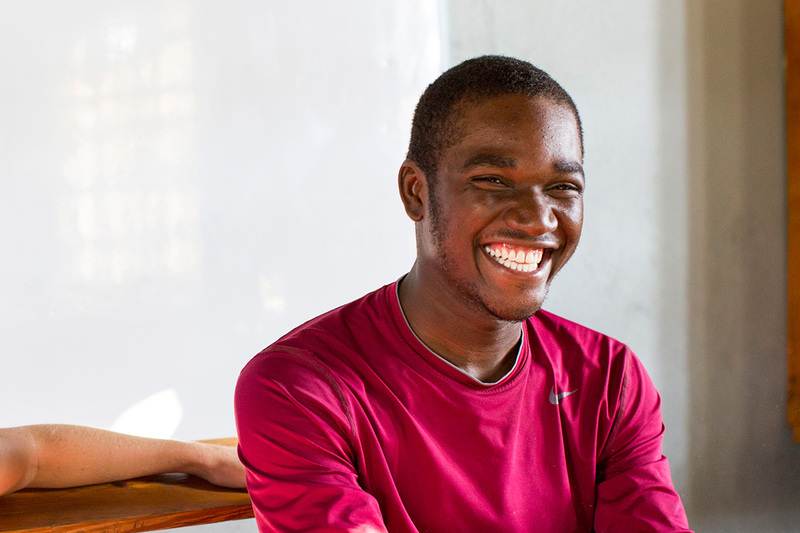 Kristi and Nathan lived in Haiti from 2012–2014.